Green timber: Just the mention of it conjures images back-flapping mallards, cypress breaks and calls echoing through the flooded hardwoods. Waterfowl hunters who see that on video or listen to stories of dozens of mallards dropping into a hole are inspired to take up the torch and see the big show for themselves. The problem is, most of the videos are shot on private sloughs, and public land has become slim pickings for the average guy. Things have gotten so bad in Arkansas that nonresident hunting has been severely restricted on state-owned wildlife areas, further concentrating out-of-state traffic to federal refuge land that’s mostly regulated by Mother Nature in terms of where and when it floods. That means fewer areas, more pressure and more competition in the timber. 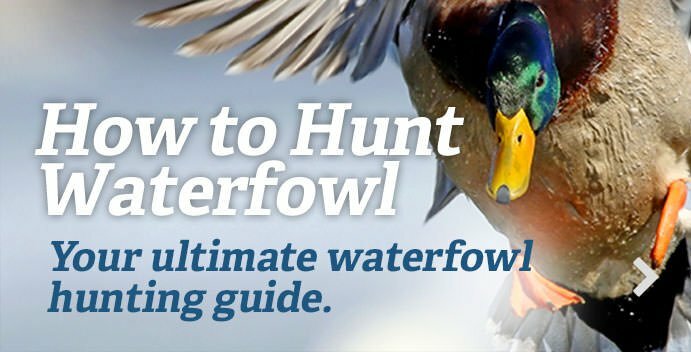 If you want to see mallards dropping through the trees into your decoys, you must consider several things. Google Earth has changed cyber-scouting. Satellite imagery of an area lets you see waterways, the types of trees in an area and some of the larger holes in a section of land. This is fine, but guess what? Everyone else with a computer and 15 minutes can find those, too. When scouting a new area, I download a topo map of the region and overlay it on Google Earth as a layer. That will show me high points and lower-lying areas that will be the first to flood. It also helps identify small creeks I could use as boat lanes to access areas farther back in the timber. The end game is to find possible areas that might attract ducks and are difficult to access. When I’ve marked a few places on the map, I will play with the date option and find satellite images with various levels of foliage. Sometimes, that will show small holes within areas I’ve already marked: downed trees, little openings in the canopy and other features. From there, the real work begins. I cannot stress this enough: You must put eyes on the area before a hunt. Going to a new area in the middle of the night with nothing more than a waypoint on a GPS and some cyber-scouting is a sure way to have a frustrating morning. This is especially true if you’re not familiar with the area and how water flows into drainage at various levels of flood stage. Long boat rides and a lot of walking, often in waders, is the best way to get a true idea of what an area offers. If the timber is not flooded, look for treetop openings in low-lying areas for the early flood state, working your way up in elevation to get ideas should the water not be at “optimum” levels. Map out routes into these areas using old roadbeds and creeks as your path when the water rises. If there is already water in the timber and ducks are in, I like to watch the birds. Following a group of ducks in the timber is almost impossible, so pick a vantage point that lets you see a lot of sky above the general area you’re scouting. Make a mental note about where ducks are flying and what direction they’re coming from. Scout that travel path as you search out their final destination, especially if you see large groups moving over an area. If you can find a spot under that flyway, you can usually break a few into your hole. If you’re not seeing ducks in the air but know birds are in the area, start riding and walking. Look for signs such as feathers floating in the water, and listen for ducks on quiet days. A group of mallards can make a lot of noise, and their splashing, quacking and flapping will carry a lot farther than you think in the timber. In a perfect world, you will find a pile of feathers floating on the water and no sign of other hunters using the hole. This happens, but brother, it’s a rarity. Chances are if you found them, someone else already has. That’s the Murphy’s Law of duck hunting. The best way to find unmolested ducks is to deviate from the norm and be willing to do what others are not. So many hunters seem afraid to leave their boats and go for a walk. Some of the best holes I have found were a half-mile from the boat across dry ground. This is where boots on the ground and map scouting really pay off. When the water rises in timber, it has a way of penetrating far beyond the obvious cuts and creek bottoms. Find low-lying areas that are beyond where the mud motor hordes can access, and you’ll probably have it all to yourself. One thing to remember on public land: When you start shooting, don’t expect your well-kept secret to be secret for long. Shotgun scouting has become far too popular. This occurs when tramps sit back and wait for the shooting to start, and then close in and scope your location from a distance. After you’re out for the morning, they’ll be busy hatching a plan to be right where you were sitting the next day. This has happened more times than I can count, and it never ends in pleasantries. Although unethical by most gentlemanly standards, it’s simply the nature of the modern waterfowl game, and you should mentally prepare yourself for the possibility. Hunting green timber requires hours, days or sometimes even seasons of scouting before you have several holes in the rotation. A good public-land timber hunter is always looking for an edge; a new hole or anything to give them the advantage. On a good morning, limits will come quickly, and you’ll be out of the woods by breakfast. It’s a lot of work for less than an hour of hunting, but it’s worth every second.